The Anti-Defamation League has a new motif, The Snake and the Star, illustrated at right. We kid you not. Not many people know that . . .
. . . Abraham Foxman, director of the U.S. "Anti-Defamation League", attended the funeral of mass-murderer Meir Kahane as a pall bearer. "That's included in the $29.95, sir." 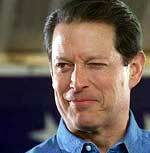 Website note: Al Gore (protégé of Armand Hammer) said in a speech to the ADL on May 9, 2000: "We all applaud the verdict of the court in Britain against a falsifier of history, who claimed that the gas chambers of Auschwitz were fakes built as a tourist attraction, and then tried to put history itself on trial and give comfort to those who cloak themselves in hatred and denial. Thank God for the wisdom and the law on the side of the court which struck down that obscene set of claims by that awful falsifier." Jul 14, 2007: "The ADL chief is a danger to the future of the community, and it is a scandal that he remains at the head of a major Jewish organization. Foxman must go"
Jul 9, 2004: Abraham Foxman (ADL) to Wall Street Journal, analyses the Holocaust deniers: "The alleged Jewish motive? A desire to obtain global power, to defraud non-Jews of billions of dollars, to demoralize 'Aryan' societies by imposing crushing guilt for a genocide that never occurred." Financing the Anti-Defamation League (pdf file of part of the ADL's public tax info). It seems like a good business to go into: $50 million in revenues, and high salaries. Oct 2003: ADL rejects New Republic apology for article on film 'Kill Bill' which depicts Harvey Weinstein and Michael Eisner as 'Jewish executives' who "worship money"
The ADL and Other Branches: Why Waste Time Hacking? Jude Wanniski to publisher Mort Zuckerman, March 2002: "Do Jews Control the Media?" -- "Twice in 1998 I wrote warnings in this space that unless we tried to find the source of the hatred against the United States in the Muslim world, terrorists would return and bring down the Twin Towers." Oct 1997: Extracts from an article by Victor Ostrovsky: "When Israel's Mossad set out to break me, it found its helpers here [in the USA] at home"
The Website of the New York-based Anti-Defamation League is currently brimming with hatred and defamation of historian David Irving. The ADL collaborates closely with the London based Board of Deputies of British Jews . There are no attempts to repeat these smears in the United Kingdom, where the laws of libel offer more effective protection against defamation than in the USA. S Ira Grossman of the ADL wrote to one inquirer on Sep 21, 1996 that Mr Irving's background and "links to the Holocaust denial movement" were described in a "Q and A" published by the ADL, which might be reproduced in its entirety, or excerpted with proper credit. [The ADL logo is a registered trade mark]. ADL experts were, promised Grossman, available to provide additional information and analysis by contacting the Media Relations Department at (212) 490 2525 ext. 7747 or 7748. This gives an indication of the scale and intensity of their closely-targeted campaign of defamation. YOU ARE invited to compare the deliberate distortions of the truth in the above files with the true evidence reproduced on our Website.